Obama To Israel: F**k You! 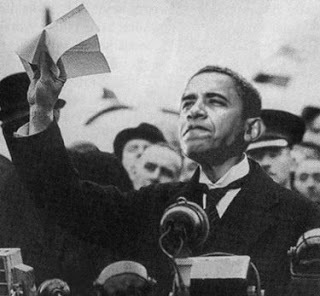 Tonight President Barack Hussein Obama and the leaders of Europe have told the Mullahs of Iran: Kill the Jews. But they insist that the most severe penalties — on Tehran’s oil exports and banking sector — will remain until the two sides reach a comprehensive agreement to minimize Iran’s nuclear arms-making capacity. Several US senators — both Democrat and Republican — have voiced displeasure with the parameters of the potential agreement, arguing that the US and its partners are offering too much for something short of a full freeze on uranium enrichment.